What is the Eastland Commitment? We offer reasonable prices and easy payment options that fit any budget. We have three different packages that start as low as $20 per month. Our best option is our Eastland Advantage Package that is bundled to save you money! Click here for more information on our monthly plans. Our main goal is to provide fast, friendly service. We strive to schedule your appointments in a reasonable amount of time. In most cases, we can see you within a few days! We also require that all of our technicians treat you like family, because that is how we see you. 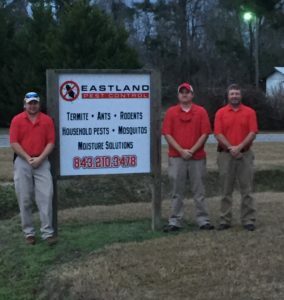 All of our customers are part of the Eastland family and we will always put you first. We work hard to ensure that we can take care of your pest problem. We are always researching new products to make sure we are offering you the best there is. We encourage our customers to provide us with feedback if they are not satisfied so we can try to make it right. Your satisfaction is a huge part of our Eastland Commitment. 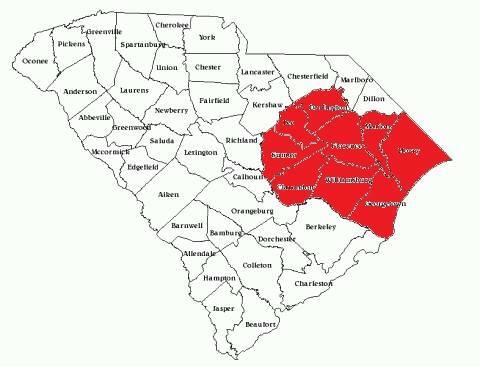 Florence, Bishopville, Dalzell, Sumter, Manning, Kingstree, Andrews, Georgetown, Nesmith, Hemingway, Johnsonville, Gresham, Conway, Aynor, Marion and Mullins. If your location isn’t listed just give us a call and see if we service that area. I was very pleased with the technician's friendly and professional service. He answered all my questions. Great service at an affordable price.